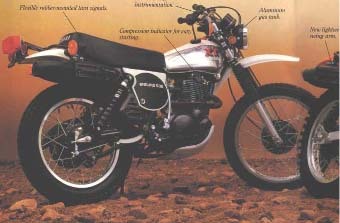 This is my best attempt at a pictorial history of the Yamaha XT500. If there are any errors that you know of, please e-mail me with the correct information and if possible the correct image. 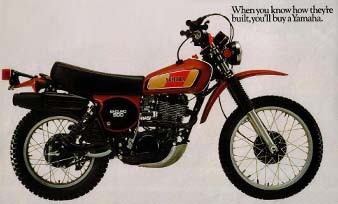 This is the brown '77 XT. Brown! What were they thinking!?! 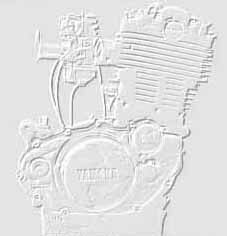 This is the 1st full-fledged version to hit the European market. Note the new skidplate and headpipe. 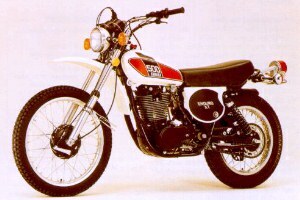 The '78 U.S. model sported the first polished aluminum tank. Note the addition of black fork gators in '78. 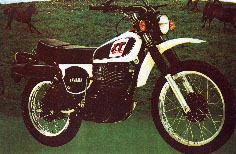 The European '78 XT had a new red and white color scheme. Note the addition of black fork gators in '78. 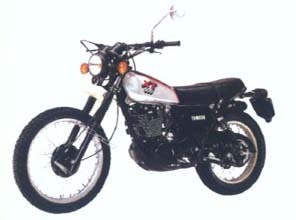 The '79 model added new rubber turn signals and a kick start indicator. 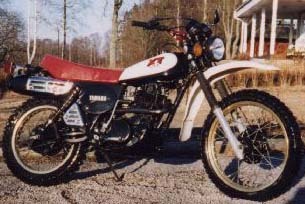 Picture not available Here is a picture of '80 XT500 from Sweden. 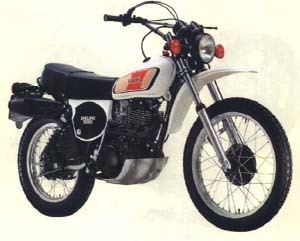 This was the final production version of the XT500 in the United States. 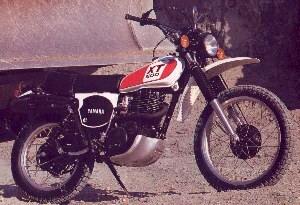 The XT changed little from '81-'85. Notice the rear fender and taillight change. Again, there was little change for the XT from 86-89. Note the newer style rims. 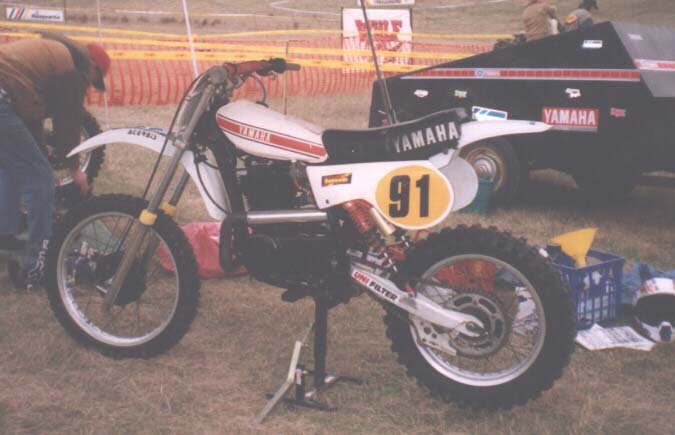 Rm400N framed TT/SR/XT. It's a Budget Aberg replica. 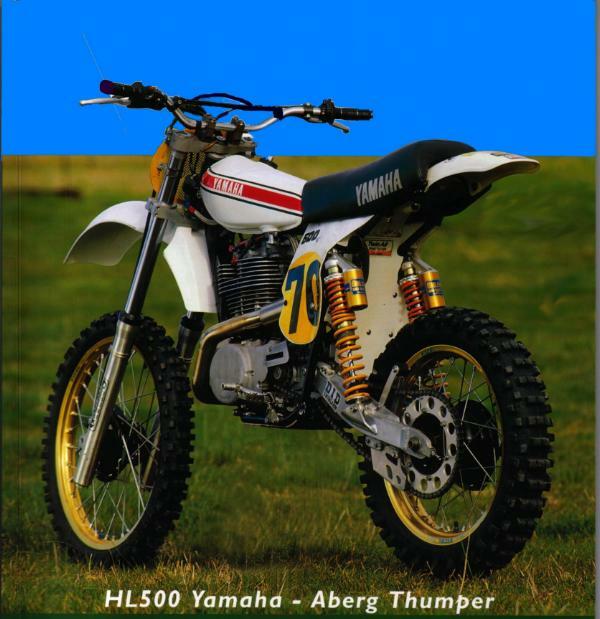 It has: ohlins shocks, YZ400 36mm carb, 90mm piston kit, Aberg style shorty exhaust and Alloy 2.8lt oil tank.